After picking this treasure directly off the tree with a resounding “snap” the squirrel settled in and delicately ate it. 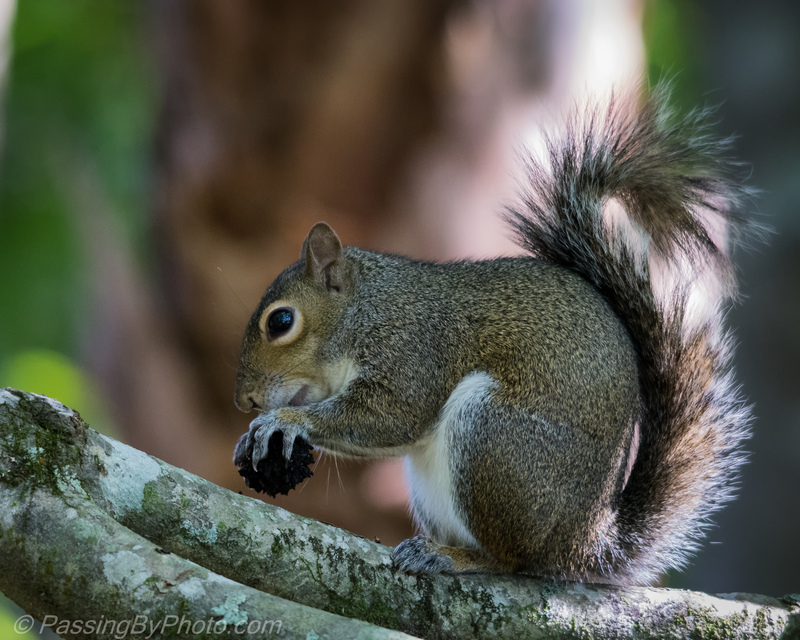 He slowly turned and savored the nut/seed showing off some pretty serious claws. It was surprising to see him so still for so long as most squirrels I see are running and jumping around in a chaotic way. 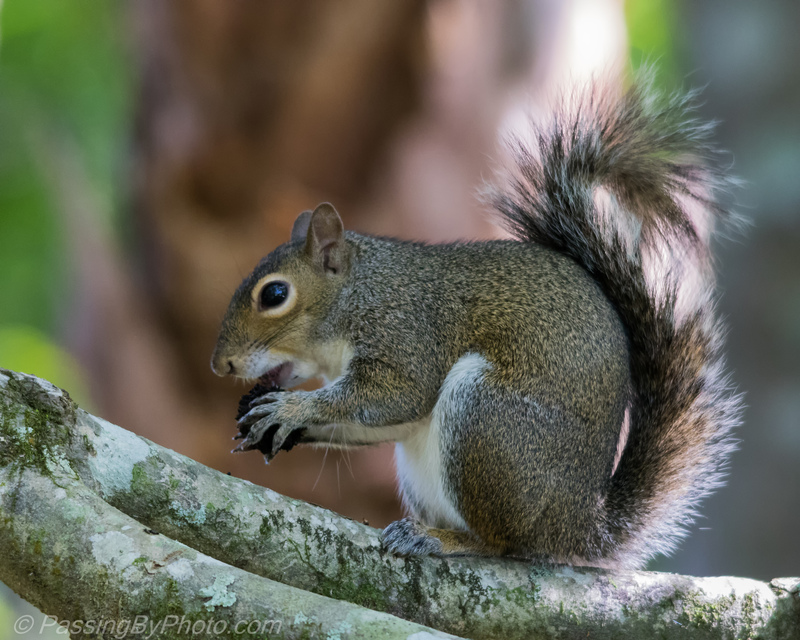 What nature photographer hasn’t had a fright when a squirrel suddenly careened across their path?